My daughter is a book lover. I mean a real lover of books. Not just one who reads just to read nor one who reads the latest cheap pulp pushed out to entertain masses or stimulate teens. She reads substance. She is a bibliophile and I love that. Our combined book haul from our latest booking expeditions. We love reading. I love books, too. Just holding a well-designed or beautiful book makes me smile. 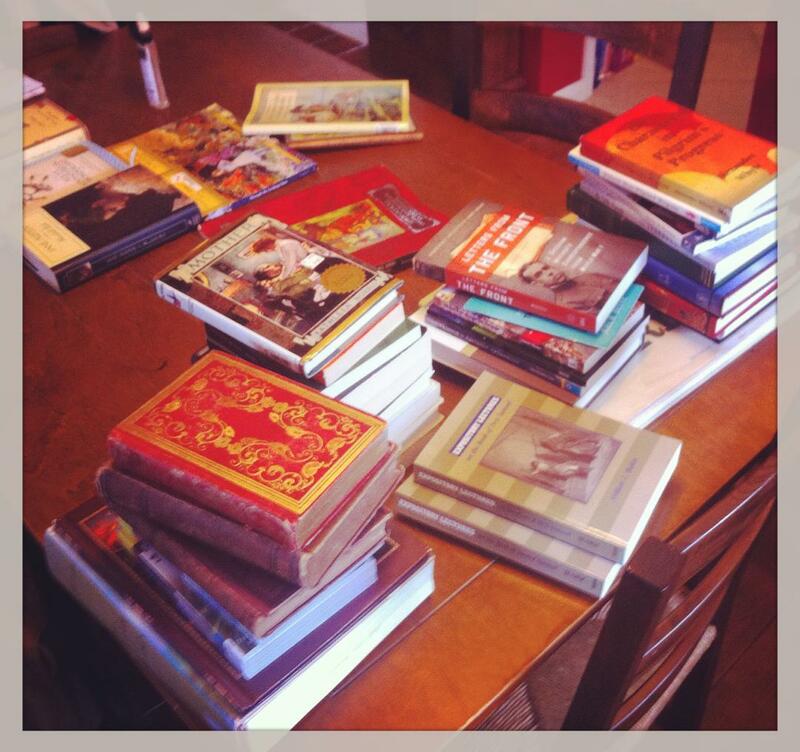 Look at that pile of books on the left that we scored on a recent trip. And that’s just some of them! Yes, I’m a fan of the printed page. The idea of a large home library of great books – with floor-to-ceiling dark wooded shelves, plush wing-back chairs with a green-shaded glass lamp on a side table, ornamented with historic rifles mounted above vintage maps – sounds better than a man cave or a bass boat to me. I read a lot too, mostly non-fiction and things many people would find helpful as sleep-aids. Its all part of my calling in life to read, study, write and preach. But I love good fiction too, and enjoy histories and biographies and memoirs. Imagine my delight to read my daughter’s blog post entitled The Spectacular Book Tag. I decided to consider myself tagged and to use the questions as an opportunity to write about books a little. I’m a sucker for answering surveys and filling out stuff. They say that “leaders are readers,” but no one ever defined who ‘they’ are, but ‘they’ were on to something. Looking around at statistics about who really does read and who doesn’t can be sobering. Reading any old thing short of the grocery store tabloids and maybe a newspaper every once in a while certainly gets you a bit of a head start above those who are functional illiterates. (Does anyone actually read a newspaper anymore?) Thomas Jefferson once accurately noted that “The man who reads nothing at all is better educated than the man who reads nothing but newspapers.” I’m advocating for folks to read substantive works – books, novels, stories, biographies. And by substantive, I don’t mean thick and hard to read. Nor even books aimed at adults. 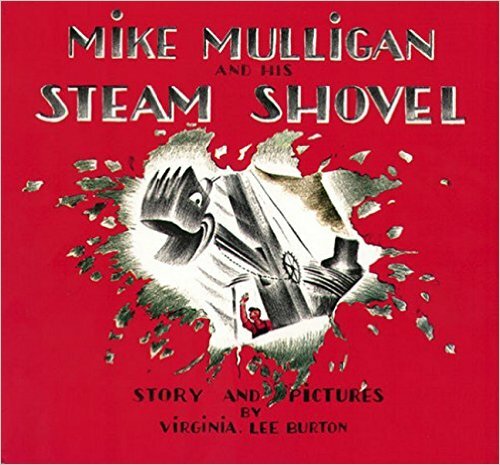 Mike Mulligan and His Steam Shovel is a substantive children’s book. Spongebob comics are not. Reading ought to be far more than consumption. It is a combination of enjoyment, wisdom-gathering, entertainment, education, and exploration all at once. Reading is more than a pass-time activity, it is an activity to which time should be intentionally devoted. Reading takes the reader to times, places and situations they will never experience otherwise. If you currently don’t read, start simple. Start small, but start. 1- What are your favorite book covers? Penguin series. Fantastic cover design. Simple and relevant. Having been a graphic designer trained at a snooty design school, I am perhaps overly critical of book covers. People do judge books by covers and amateur cover design is a major put-off. If you are going to invest writing a book and going through the trouble of getting it published, invest in a first impression that accurately tells a cranky book lover your book is worth a second glance. When a good, well-designed and classy book comes my way, I love it. And its more than cover art. Its paper selection, bindery craftsmanship, materials, varnishes, feel, smell. Font choices. Inks. I loathe print-on-demand and self-publishing houses. Rarely (though occasionally) do such books speak of excellence. But I love history and the days of real manual craftsmanship, too. So I am quite a sucker for old, ornate books, especially if they have a beautiful spine. Good design and lasting history enthrall me. Marketers have caught on to the charm of old books and have been issuing hardback editions in lovely old-world inspired designs with updated flair, materials and vibrancy. That’s good. My daughter loves them, so do I. An old-world effort that has been in the works for years, of which I’ve supported years ago, is this magnificent project – Bibliotheca. A well-crafted Bible edition for book and story lovers. I cannot wait until they get these published and my box shows up. This new trend of retro with a modern twist is wonderful. 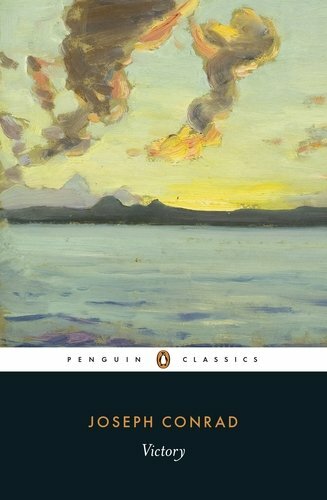 I really like the cheap Penguin Classics series with the black and white master format, orange author name, and colorful artwork. They all fill a shelf beautifully and beckon a reader to pull one out to be delighted with a colorful image. Simple, inexpensive, yet classy. I like the looks of the Barnes and Noble classics series. Making classic literature available to the cheapskates like me means it needs good design for shelf appeal. My Joseph Conrad Heart of Darkness edition is light in weight, but it looks substantive and feels great in hand. 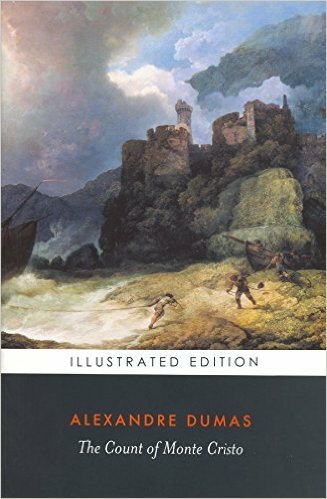 Treasure Island by Robert Louis Stevenson, of the same B&N series is a nice example of how the master format works with photos, paintings or illustrative graphics. Remember, paper choice, finishing choices – these are important on cheap books too! 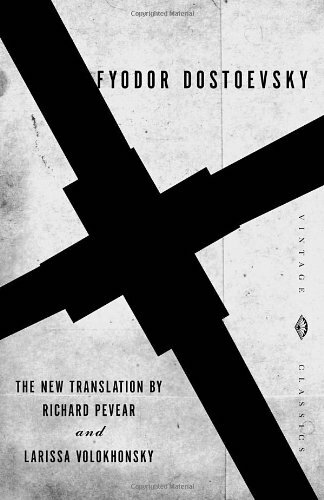 Gulag Archepelago by Aleksandr Solzhenitsyn uses colors and typography to call to mind the Russian Constructivist art movement so associated with Bolshevism. Brilliant design. Here are some of many of my favorite cover designs. Other favorites, modern and vintage. 2- What are your favorite book titles? The Idiot by Fyodor Dostoyevsky. Right to the point. Then there are some books like Reformed Confessions of the Sixteenth and Seventeenth Centuries in English Translations that are simply descriptions, but make for funny, long, Puritan-ish titles. And they take a long time to cite in footnotes. 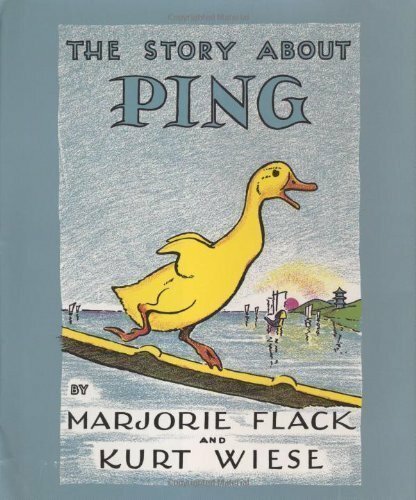 Another of my all-time favorite book titles is The Story About Ping by Marjorie Flack. 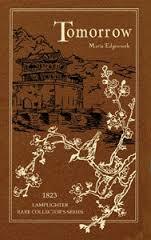 Its forthright, quaint and befitting a beloved children’s tale of a little yellow duck on the Yangtze River. Men need to read and tell stories to their kids. They need to read good books, stories of substance, tales of places and people. Don’t read Captain Underpants to your children and think you are parent of the year. Give them something better. Be a good parent. 3- Have you ever read a book and didn’t know why they named it that? I always wondered why the book by Harper Lee was called To Kill A Mockingbird. There’s nothing about birds in the story but a passing mention, really. 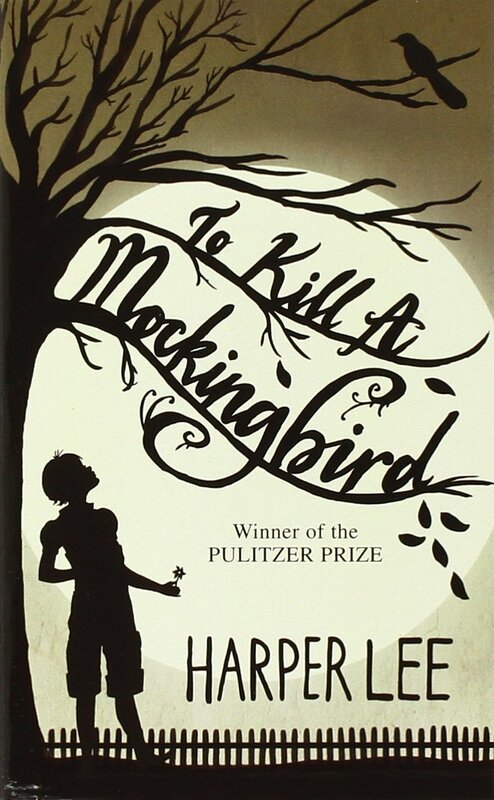 Apparently I missed the significant quote by Atticus when he told Jem “Shoot all the blue jays you want, if you can hit ‘em, but remember it’s a sin to kill a mockingbird.” It never occurred to me why these were significant and had to be explained to me by my wife. Very recently. As in, last week. I confess, though, I read the book in 1984, I didn’t want to read it. I just wanted to watch the movie with Gregory Peck. Gregory peck rocks. 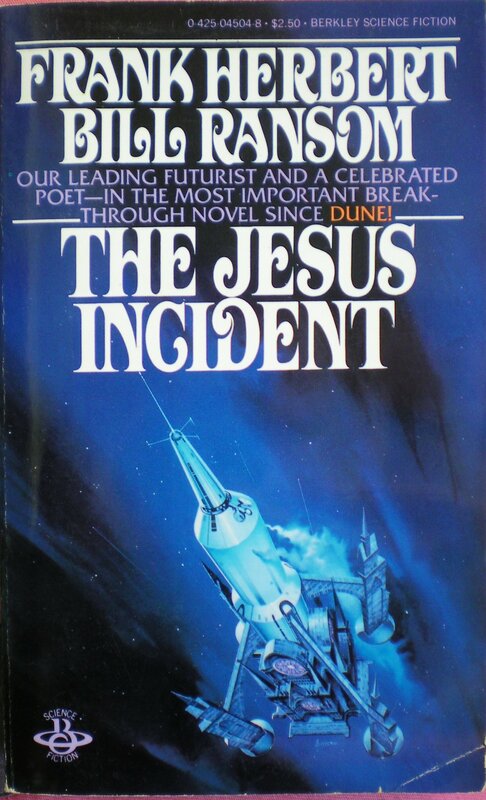 I used to wonder why Frank Herbert named a book The Jesus Incident and The Lazarus Effect – they made no mention of Jesus and the Bible, and the stories didn’t track with a Biblical conception of Messiah, though there was this notion of worship and consciousness through the tales. I was too young to grasp it when I read them. SciFi is like that. Interesting books, but I would learn later how Herbert’s philosophy was miserably self-centered and void of hope. 4- Have you read a book with a character that made you mad? Of course. This is a silly question. Conflict and wickedness, man’s fallen nature and its consequential angering acts are part of most decent stories. Usually, however, its an author who makes me mad. Authors do that a lot. Arrgh. Bad authors! Bad! 5- Is there someone or something from a book that you would never want to come across? There are bad Kapos and evil guards in all the Auschwitz memoirs I’ve read. There are always some more dastardly wicked than others. All of them are made for nightmares. Some of them got justice, many did not. Cruel, sadistic, evil people. I would hate to meet any of them for any reason. 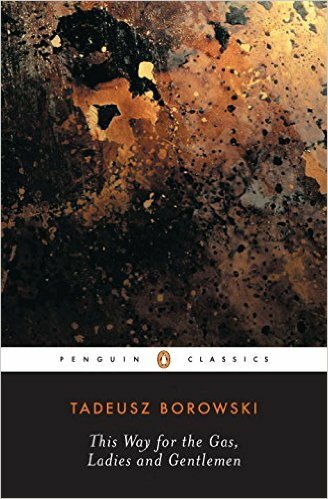 In This Way for the Gas, Ladies and Gentlemen (another of those well-designed Penguin Classics) by Tadeusz Borowski, we meet some vile men and women. I’d never want to come across them. Borowski is a masterful storyteller, and weaves such horrible people in with the images of green springs and warm breezes and the wafting lovely smell of smuggled rye bread. Its a unique and very frank look at one man’s Aushcwitz. I read a book long ago, a cheap paperback from a grocery store, called Legacy of Herot by Larry Niven and Jerry Pournell. I used to be a big fan of Niven’s SciFi, especially Ringworld. I still remember why I sought out and read Ringworld, which was the second science fiction novel I ever read, right after Arthur Clark’s Rendezvous with Rama. It was an illustration book of fantastic Science Fiction paintings that I checked out over and over as a kid from Bracewell Branch Library. These paintings and images inspired my search for books, which kicked off reading. Back to the point. In the Legacy book, a native critter on an otherwise idyllic planet becomes the fly in the ointment for the settlers. Its called Grendel. Its terrible. Think Alien and Predator combined with Pol Pot. And it gets mad when the people harvest and eat its babies because they are so good and tasty like fish. Yikes, a scary creature. It always did trouble me though when Science Fiction authors writing consumerist pulp-SciFi tried to harken back to classic literature like Beowulf. It struck me as low-brow story writers trying to get legit by making high literature references. Its sort of like Iron Maiden singing songs based on Coleridge’s poetry. Its sort of silly, but if you are a kid, knowing such references makes you feel like you are smart and heady. 6- If you could meet a character in person, who would it be? There are three that immediately come to mind. I know, breaking the rules. But who needs just one? The wonderfully rich Edmund Dantes of The Count of Monte Cristo by Alexander Dumas. 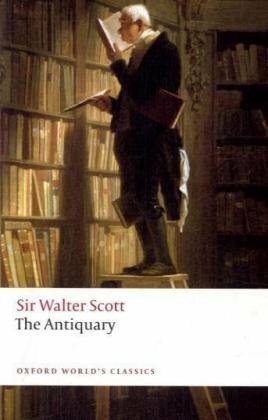 Then I’d like to meet Eddie Ochiltree of The Antiquary by Sir Walter Scott. 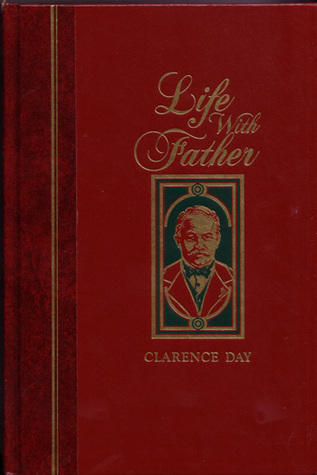 Finally, I want to meet father, err, Clarence Day Sr., of the rib-cracking Life With Father by his son, Clarence Day, Jr.
Edmund Dantes because he’s the richest, most complex, interesting and intelligent character I’ve met in a book. He takes on nearly 20 personas in the novel billed by many as the greatest novel of all time. Its certainly among the longest novels. Don’t let that frighten you. Its long because its good. He’d be fun to chat with. Sure, he’s flawed, likes his dope, has issues with revenge, but he’s the center of a great tale. And Eddie? Well he’s a beggar in this classic written just after the battle of Waterloo by the distinguished Scotsman of Scots. The tale investigates how we ought to comprehend the events and changes in the past so that we can move forward properly into the future. All the characters are well-crafted and interesting, but Eddie is the hilarious character who seems to know everyone and everything. He was well written, his dialect is wonderful. It would likely be a brief conversation but one I’d learn something from. I’d need the glossary in the back of the book, or my Scottish grandmother as a translator, to understand him though. Now, Mister Clarence Day, who pinches pennies and loves his frustrating dear wife Vinnie, is the father of four red-headed sons, one of whom was sure they were going to “put Father into Hell” because he hadn’t been baptized. He’s a rollicking rowdy man of many colorful quirks, hilarious fits and bull-headed convictions. And he hasn’t got time for incompetence in housemaids or appliance salesmen. Mr. Day believes that the church hasn’t got any business meddling in a man’s spiritual life and that once he gets to heaven with his wife’s assistance, he’ll set them straight on running a tight ship, and he’ll organize a baseball team. This outlandishly humorous character is based on Day Junior’s real life father, and he’s written a series of books that are so funny, we can’t read them out loud on family car trips for fear of us all dying in a blazing wreck due to laughter. And if you want a preview that is, actually, quite faithful to the books, get hold of the delightful film Life with Father, its a good one, and family-friendly. 7- What are you currently reading? A half-dozen Bible commentaries, bit by bit, over the months, a little each week. That’s usually my answer in this season of life, and its much more enjoyable than it sounds. It helps to love preaching each week. 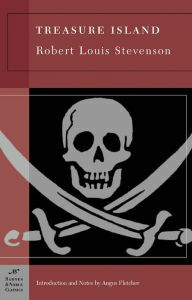 On the adventure/enjoyment side, I’ve been slowly reading Joseph Conrad’s Victory. Its been called a psychological novel, but them’s just high words for human nature. Conrad is quickly gaining more and more of my respect for being a brilliant author. I first came to love Conrad when I read his classic short story Heart of Darkness in high school, one of the few literature books I actually read when they were assigned. Just when I grow weary of his detailed and artful descriptions of someone’s personal character subtleties and inner thoughts, and how such a character flaw has thwarted him all of his days, Conrad twists the story with action or a plot turn that grips and invigorates. It made me feel like I possessed a four year old’s grasp of the English language when I learned Conrad was Polish and didn’t learn English fluently until his twenties. He wrote all that great literature in a second language! On a more practical note, if I had a smelly, bad-natured dog, I’d name him Schomberg. You’ll get it if you read Victory. 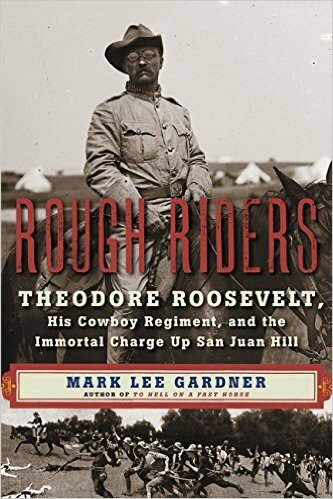 I’ve got a neat little memoir set aside to pick up next about by and about Teddy Rooselvelt called The Rough Riders. I picked this book up at a used book store and have a nice hardback edition. It was inspired by a display of Rough Rider militaria and uniforms at the Menger Hotel in San Antonio, Texas, where the Rough Riders were organized. I’m reading my sixth memoir of an Auschwitz survivor as well, in small bits here and there. Also in the process of being read is a tale of daring and stupidity, and what some might call heroism, about Adrian Warburton, a WWII ace. 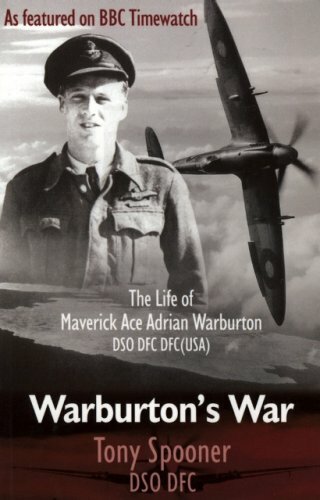 In Warburton’s War: The Life of Maverick Ace Adrian Warburton, Tony Spooner, a fellow squadron member and contemporary, tells the tale. Its sort of crudely written, more like the polished-up transcript of an interview, but fascinating no less. This is one of those books that takes you places and lets you experience things you can never experience for yourself. Sights, smells, sounds, music, getting barbed wire fences wrapped up in your tail wheel because you can’t land a plane, and so on. Wonderful. Men like Warburton are characters worthy of books and films. 8- A book that made you cry? In order for me to be brought to tears in a book, its going to need to be a real account of some grave cruelty or injustice. 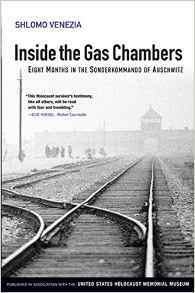 I believe Inside the Gas Chambers: Eight Months in the Sonderkommando of Auschwitz by Shlomo Venezia is the latest one to do that. I read a lot of these testimonies of the death camps, chiefly to learn of the human nature under pressure and to witness the behavioral differences between those people of a Christian conviction and those not. I’ve had an interest in the nature of man for some time. Just an ongoing side study. 9- Weirdest book you’ve ever read? 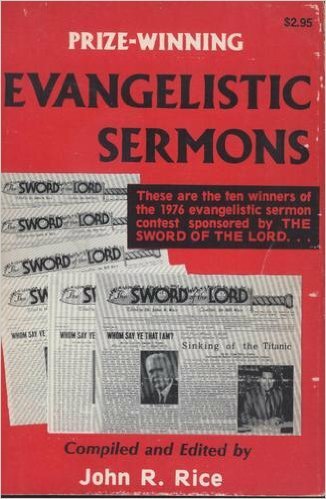 Prize winning Evangelistic Sermons, a cheesy little paperback that I found in a vacation cabin a few years back and published in 1976. If you run a bed and breakfast or a resort, its nice to pretty up your cabins with shelves full of books. Just know that people look at them, they aren’t merely decorations. Put weird stuff on the shelves, its fun. This book featured ten fundamentalist, free-will, terribly-exposited sermons that apparently had been top prize winners in some sort of contest. And you get a bonus sermon for good measure. It was like reading a train wreck, but a sanctified one. I felt like it should have come with a set of Pastor trading cards for the kids. Sermon contests… that’s just weird. 10- Worst book you’ve read? I could make some folks angry here with my list of theological junk I’ve tossed out, some of which my friends cherish. I will not put forth the worst book I’ve read. As far as a bad fictional book, I usually lose interest quickly and put them down. I put down a book called Tomorrow by Maria Edgeworth, an old tale republished by the excellent Lamplighter Publishing, with a very good moral to the story. But it was hard to read. It was part of a family read aloud that I didn’t want to actually read aloud, so I remember that one in a poor light. It because of my poor attitude. I should try it again. Its probably a really good book. Sorry, Lamplighter Publishing. I read some Science Fiction that was bad enough that I put it in the junk box after just a chapter or two. Some books you just know won’t be good. One of the best bad books ever is one my wife and I read. It was so bad it was funny. 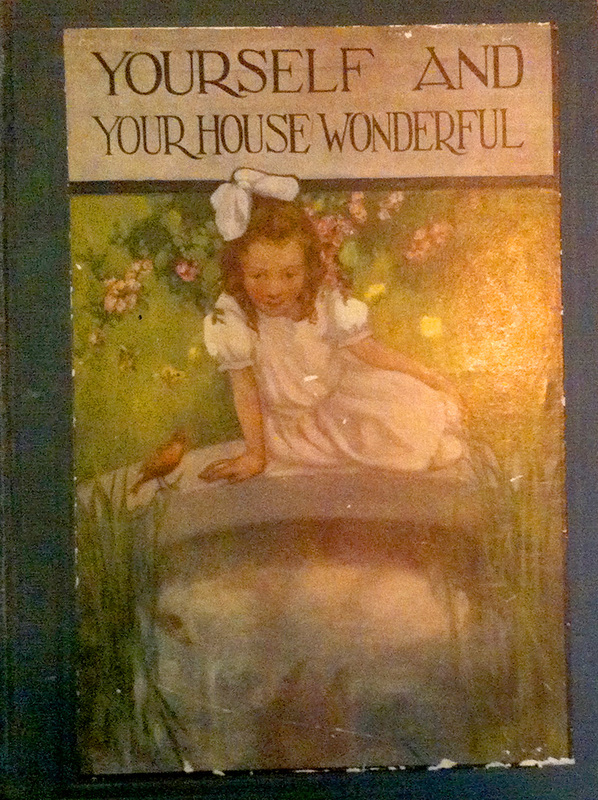 This antique gem is named Yourself and Your House Beautiful by historian H. A. Guerber. We bought this early 20th century book intended to teach children about how their bodies work. Sadly the analogies were horrible, the science was sketchy, but the reading aloud of this book gave us loads of laughter while enjoying Margaritas on our 25th anniversary trip. That book was so bad, and had us laughing so much, that I remember it fondly! 11- If you could only read one book for the entire year, what would it be? I couldn’t do this. It is impossible. I’d have to break the rules. I try not to go back and re-read most books, there is so much I need to read that hasn’t been covered yet. 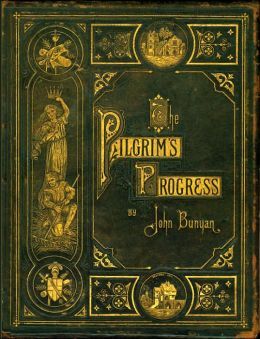 But – gun to the head – if there is one book that has exceptional mileage, I’d have to say Pilgrim’s Progress by John Bunyan. Some people hate it, calling it juvenile and contrived. I love it. Its dialogue and circumstances draw allegorical parallels to the story of salvation in the Bible that are rich and insightful. Its a challenging book to read as well, due to its older language. There are others I could re-read. 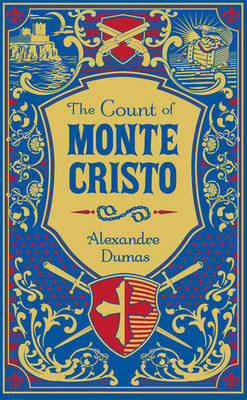 The Count of Monte Cristo has such richness and depth that it is certainly impossible to catch it all. A second or third read would not disappoint. I’d like the new hardback edition being published these days as shown on the right. I’m not usually big on re-reading fiction unless that fiction was rich and weighty. Light stuff, like an Agatha Christie mystery or a yarn like H. Rider Haggard’s King Solomon’s Mines would be tedious for me to re-read. Not to dent these authors’ reputations, they were ground breakers. Indiana Jones would not exist but for H. Rider Haggard. But for re-readability… no. So there’s a book post for my film and book blog. Read, books, start small, work up, get good books of substance, and enjoy! My ideal of heaven, that. Great post – it is so true that there is something wonderful about books as tangible things and not just as collections of words.